1. Challenge Objectives: In 2017, Kashi launched the “Certified Transitional” initiative and wanted a booth to reflect the power and impact of their unprecedented program, which supports farmers who are in the midst of the 3-year transitional period required to become USDA certified organic. Rather than sticking to their traditional objectives and sampling products like they have many years before, Kashi questioned their goals and worked with OBE to find an innovative, curiosity-igniting way to get their point across. The result was a 15 foot, 6,000 lbs. green “<1%,” symbolizing the mere 1 percent of farmland that is certified organic in the United States. 2. 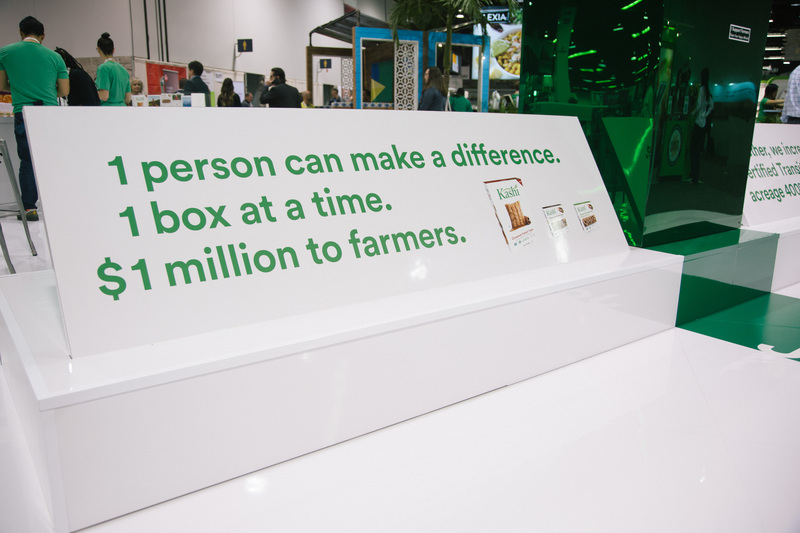 Know Your Audience: There are over 3,500 booths at Expo West, so to cut through the noise and stand out, Kashi knew it needed to deliver a strong, memorable message. 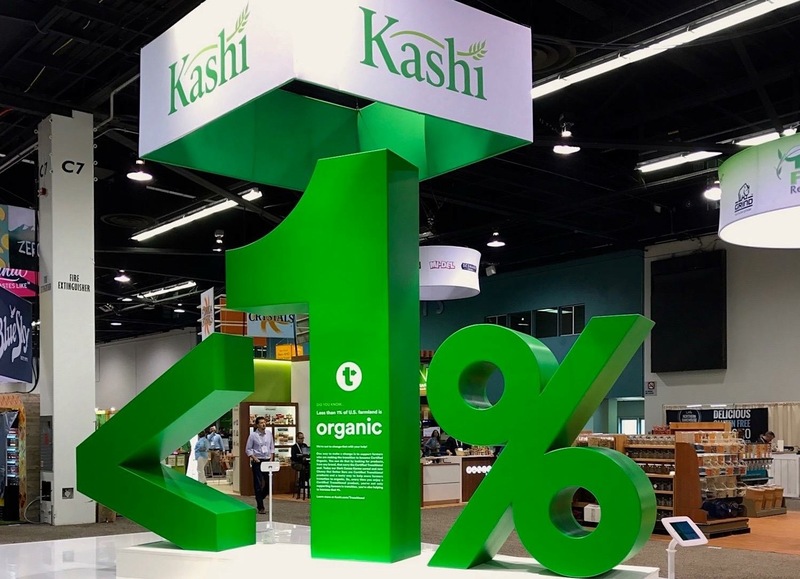 Instead of supplying the 80,000 plus in attendance with just another sample, Kashi took a leap of faith by being the only booth to show up to the world’s largest natural food show without food - who does that?! Kashi does. They shined by choosing to provide a conversation-starter in the form of a powerful, tangible statistic. OBE and Kashi drew up this concept in order to enable Kashi to engage with their audience in a creative way and invite attendees to align and connect with the brand’s values. 3. Power Through Simplicity: Kashi’s booth had one goal in mind: make an impact on the audience and stimulate a conversation. To do so, we decided to minimize in order to maximize. 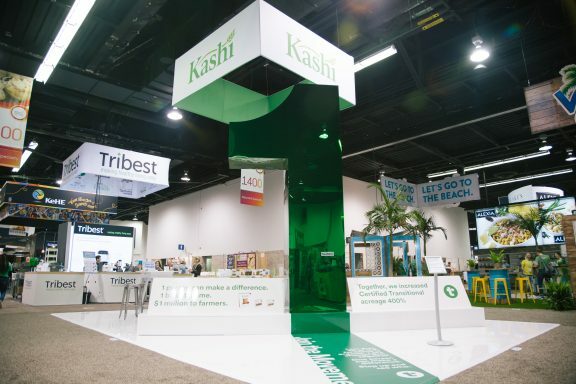 By having a straightforward, focused message that could clearly be understood, the booth became an unforgettable experience that got people talking about Kashi. We don’t know about you, but that’s a win in our book. How do you build on such an efficacious campaign? By not letting its ethos die. 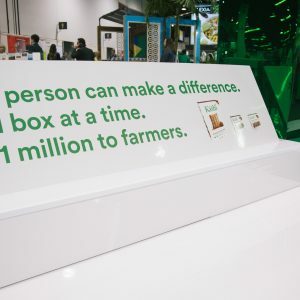 This year at Expo West 2018, Kashi further pushed the conversation forward by rolling out a similar sized, reflective “1” to celebrate the sentiment that one person can make a difference by seeing themselves as part of the change. The “anti” route we took with Kashi is representative of who we are at our core: OBE sees opportunities to go a different way and lives for the ripple effect, creating experiences that reverberate. We are excited to continue working with Kashi to adopt new perspectives on tough challenges, create innovative ways to inspire conversations, and ultimately discover solutions that allow us to break through with our audience.